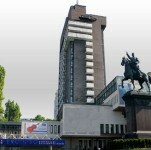 Hotel Express in Kiev: location, room description, restaurant, rates. Information on hotel Express. 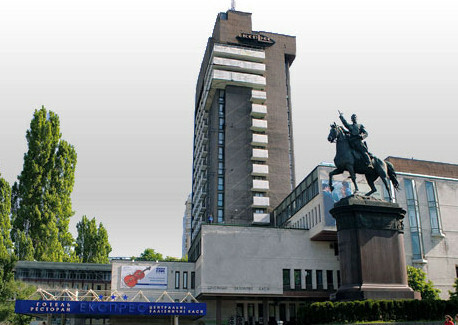 Kiev hotels. Hotel Express is located in Kiev downtown, not far from Central railway station, near to St. Vladimir cathedral and Botanical gardens named after Fomin. On the ground floor of the same building Railway ticket office is situated, there is almost no queues because newcomers usually don’t know about them. Three-star hotel Express has 143 rooms and the set of services for work and rest. There is 3 conference halls (from 10 to 200 persons), completed with all necessary equipment and Internet access. On hotel Express 16th floor the restaurant of the same name is opened. It offers dishes of Ukrainian and European cuisines and beautiful view of Botanical gardens and St. Vladimir cathedral. In the hotel lobby restaurant Jardin works.